Huge improvement on previous Beetle. Distinctive interior harks back to original Beetle. Enjoyable to drive. Engine line-up includes 1.2 TSI 105PS and economical 1.6 TDI. Report of turbo actuator failing on 2015 VW Beetle at 10,950 miles (didn't say if petrol of diesel). Replaced FoC out of goodwill. Icon is a word that's banded around too frequently when it comes to car designs but the Beetle can rightly claim to be a true automotive icon. First seen in 1938 the original air-cooled Beetle was the 'people's car', an affordable and reliable motor that promises mass mobility for all. The intervening years saw more than 21.5 million Beetles sold worldwide until the final one was produced in Mexico in 2003. Replacing an icon is never easy though. 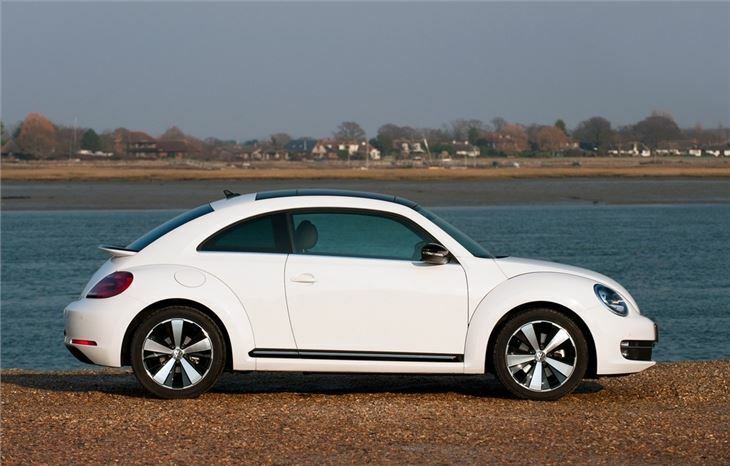 Volkswagen brought back the Beetle in 1998 with the 'new Beetle' but while it sold more than a million, it never caught the public's imagination in the same way, although it does have the distinction of being the first 'retro' model, coming several years before the MINI and Fiat 500. 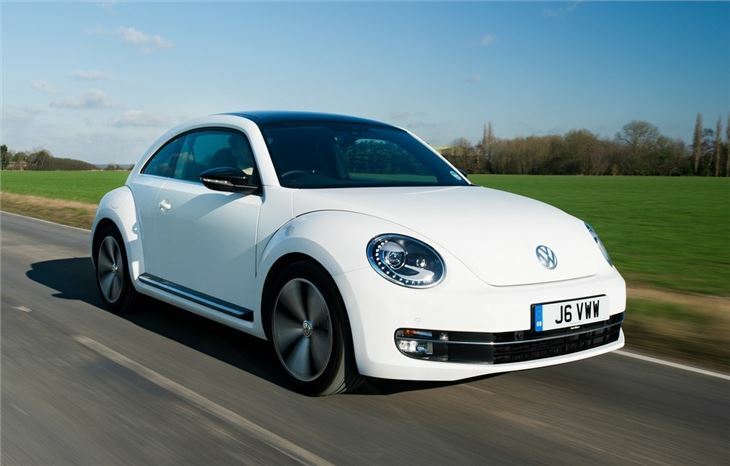 Now Volkswagen is back with its new Beetle and a look that's much more in line with the original Beetle of the 1930s. 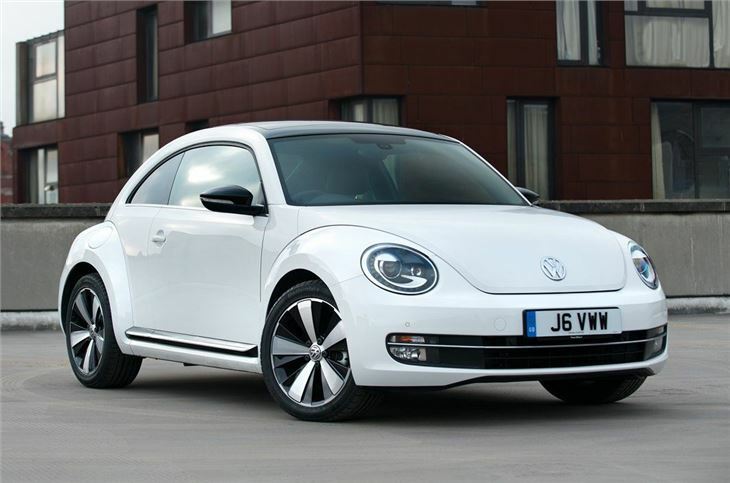 It's certainly more masculine than the previous Beetle and far less twee - there's no vase on the dashboard for starters - while the interior harks back to the old model too with a flat dashboard and the recognisable flip-up glovebox built into it. 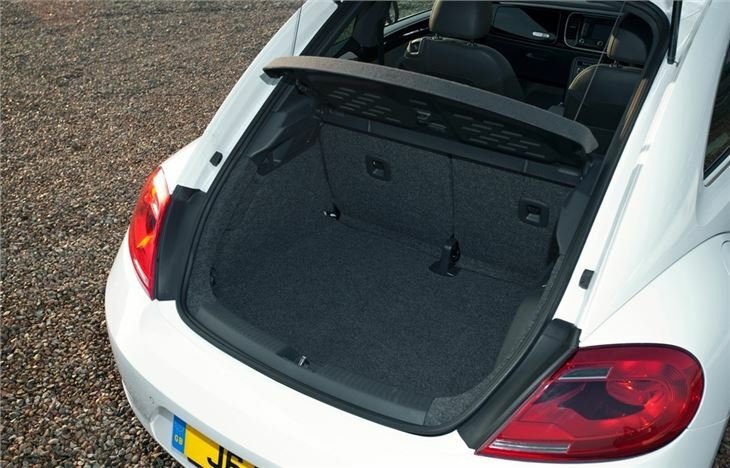 Practicality is much improved with a boot that's almost 50 per cent bigger and more interior room too. Overall quality and refinement is a huge step forward from the previous model and on the road it's far more together with sharper handling, a hugely improved ride and better steering. While the exterior shape is similar, underneath this Beetle is very different from its predecessor of 1998. It gets a good range of engines including Volkswagen's excellent TSI engines - a 1.2-litre, 1.4-litre and the top 2.0-litre with 200PS - plus there's an impressively frugal diesel in the shape of a 1.6 TDI BlueMotion Technology than averages a claimed 65.7mpg. 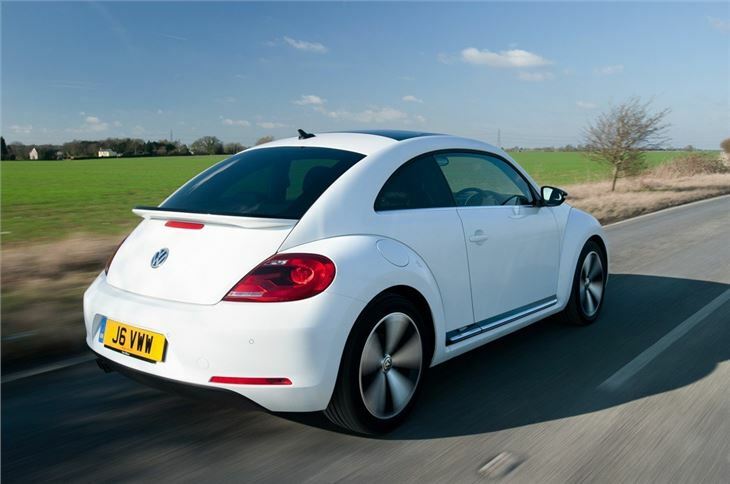 The new Beetle is well priced with on the road prices starting at a very competitive £14,875 - about the same as a MINI Cooper. 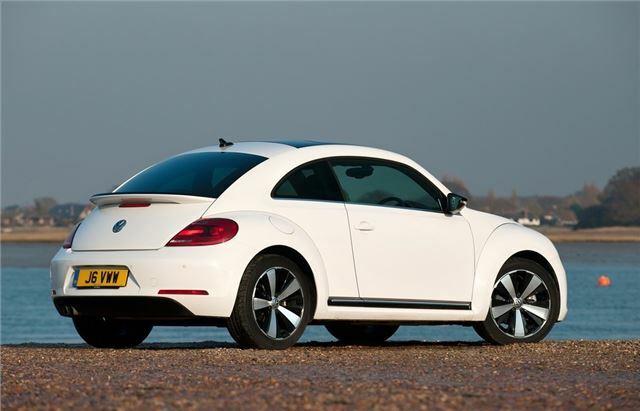 It's an incredibly likeable car with plenty of charm and character, much more so than the previous 'new' Beetle. There's also an even more desirable Cabriolet version which was launched in April 2013. What questions were asked when we covered the launch live? attractive looking car which has a good balance of perfomance and economy suitable for my wife and me.